Pete and I spent a good portion of this weekend preparing for Halloween. We woke up early on Sunday morning (I wish I could still sleep in), went and had breakfast, then went to our local pumpkin patch. We found the perfect pumpkin! 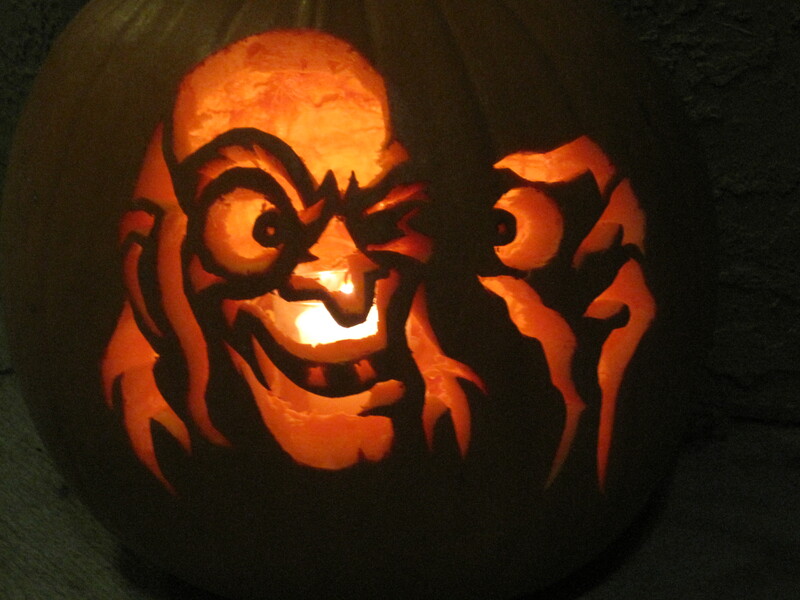 When we got home I looked online to find the best pattern to carve into our pumpkin. 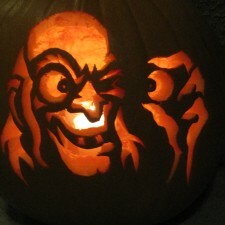 We settled on one called “The Eye of the Beholder” from this great site Zombie Pumpkins. 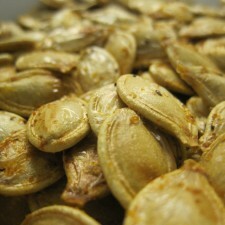 Pete gutted the pumpkin and I got to work on roasting the pumpkin seeds. These were so easy and tasty. It was a nice snack for Pete as he spent the next three hours carving our pumpkin! Preheat oven to 300 degrees. Mix all ingredients in medium bowl. 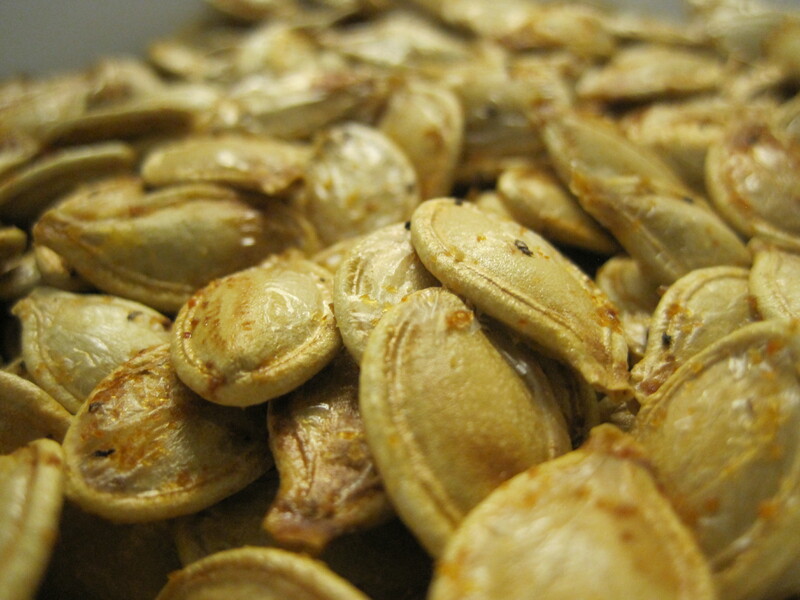 Pour pumpkin seeds on cookie sheet and bake for 45 minutes. Stir a couple times throughout the cooking time. Pete loved these and snacked on them while carving the pumpkin and throughout the day. Make sure to save some to make our delicious pumpkin seeds trail mix (recipe to come this week). After 3 grueling hours of pumpkin carving and missing his precious football, here is the final product. I must say, pretty impressive!